I will be submitting either a summary of my findings in Kidal or the paper I will deliver at the 17th Sahel Workshop, taking place in Grève, Denmark the 6th-7th of November, 2006 by next week. Until then, I went to offer an observation, superficial at best. There is a difference in terms of how Malians view their Tamasheq peoples and how the Nigeriens view this group. I have walked around Bamako and Niamey extensively and the reaction that people have to my turban and how I wear it is astonishing. In the mid day heat, I cover my face, like the Tamasheq people do only I learned this from the Moors in Mauritania. When I did this in Bamako, the reaction was not that much different as when I wear the turban as a scarf in the late afternoons and evenings. People were just as friendly. Niamey, however, turns a cold shoulder to me when I veil my face. I can't help but wonder if their are animosities between the southern groups (Hausa, Djerma, Songhaï) and the northern groups (Tamasheq, Arab and Tubu) who had problems with the government the 1990s, an armed rebellion. Concessions were given to northern peoples with the cease fire, but large numbers of Hausa, Djerma and Songhaï peoples protested these concessions as they gave a chunk of an already small national revenue to people who are barely 5% of the population. There is more than just competition over natural resources. There is competition over finiancial resources as well. 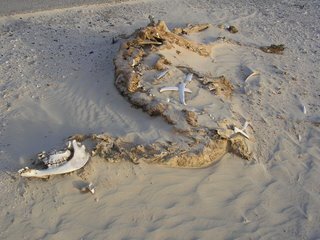 One would assume, at first glance that the harsh dry environment of the northern Sahara claimed the life of this camel. But it has actaully rained quite a bit in Northern Mauritania and in other parts of North and West Africa. If you look closely enough, you will see the border of the roadside where this picture was taken. 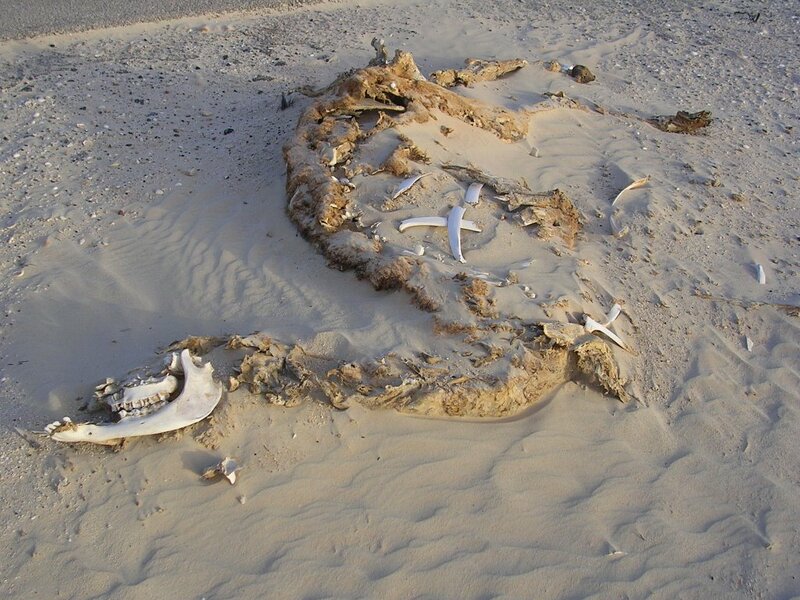 It is likely a large truck hit the poor creature and rendered it food for the other creatures in the desert. Though water has brought abundance to the desert this year, it has also brought other problems. Where there is water and an abundance of vegetation, there are also pests. The town of Atar where I served as a Peace Corps Volunteer from 1999-2001, used to take pride in the abscence of mosquitoes. That was not the case when I visited last week. It was impossible to sleep with the numbers that harrassed me throughout the night. 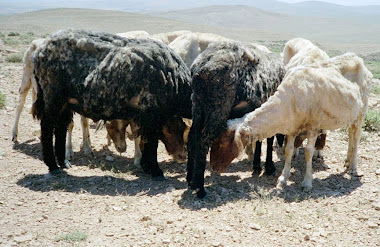 Mosquitoes, flies, ticks and other parasites can bring illnesses to animals and make life difficult for pastoralists. There needs to be a balance of just enough rain for pasture for there to be ideal conditions for pastoralists. Why Do Americans Place Themselves in Such Precarious Situations? I had some good fortune today; thanks to a kind and patient NGO worker by the name of Mamadou Camera who works at the Commisariat à la Sécurite Alimentaire in Bamako, Mali. If anyone is intersted in contacting this man, please let me know via e-mail and I will send you his contact information. If you have been following my pervious postings, you will recorgnize that this is the heart of my research ... food security. I regret that I did not present myself very well, neverous, sweaty and stinky as I had been packed into a dusty, hell-bound bus for the past three-and-a-half days, and perhaps showing the signs of sleep deprivation and fatigue. But perhaps those things enamoured him to me. Or perhaps it was the phenomena that he and others have been pointing out to me as I explained my mission. In his words, "Vous êtes là; indépendent; n'aucune vous présente pas?" In English, "You are here, alone, without anyone introducing you?" I waited patiently in his office as there was someone he wanted me to meet who works with USAID and he had his own work to accomplish. But after some time, his attention shifted to me and he began explaining his experiences in Kidal and teaching me some of the Tellalasi Arabic, the dialect that is used in the region. 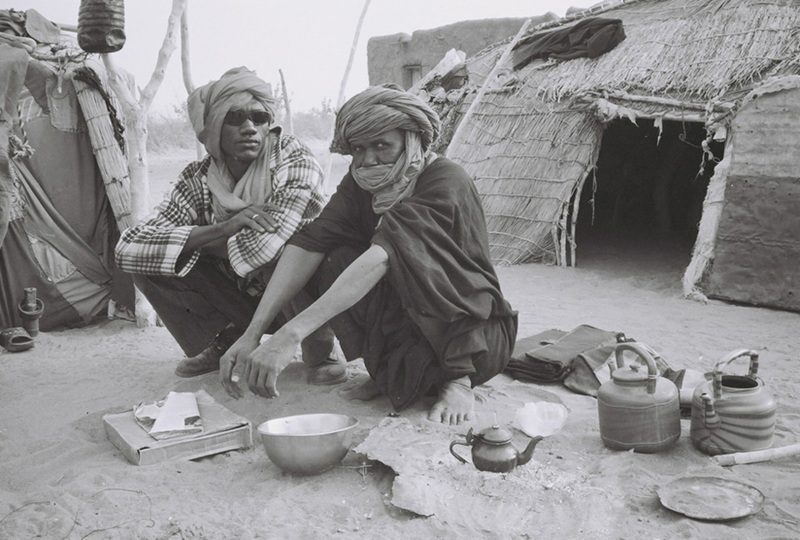 I, in good turn, explained to him some of the Hassaniyya terms and phrases I had learned when I was a Peace Corps volunteer in Atar, Mauritania and we had a few laughs of the differences in the langauges, food people eat and the attitudes that desert peoples have of outsiders. One observation that he shared with me, that will certainly influence the work that I do in the region is his explanation of who lives in Kidal and how it functions as a society of diversity. 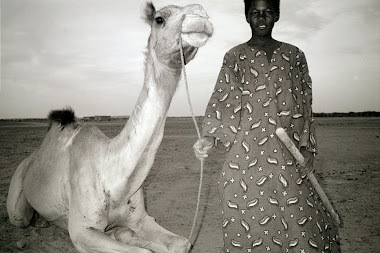 There are mostly Bambara people living in the town itself; but the Tamasheq (Tuareg) still maintain the majority in the countryside and mingle with other groups in town during the day. In addition there are groups of Peulh, Arabs and Songhai. The Tamasheq or Kel Adagh (a more specific and perhaps appropriate name for them) have the routine of quitting the town at 18 00 in the evening and marching five kilometers out into the countryside with the families and herds. So if you can imagine a dusty, smelly foolish academic lugging a 20 kg backpack through some deep sand every night starting in mid-November and carrying on until mid-May 2007, then you know what I am up to for the next seven months. Unfortunately the other man who is working on a USAID project in the Kidal region is not famalir with nor works with pastoralists in the region. He concentrates on the settled peoples, the Bambara, Songhai and others who have given up on or never had an interest in pastoralism. But then, this gives me a chance to return the favor of information and collaboration with this NGO; since I will be working with pastoral communities. I will leave Bamako for Kidal this Saturday. I look forward to the next person posing the question, "Vous êtes là; indépendent; n'aucune vous présente pas?"